Based on years of research, The Trustworthy Leader Participant Workbook is designed to provide you with a set of powerful practices that will help you to examine, enhance and strengthen your trustworthy behavior. 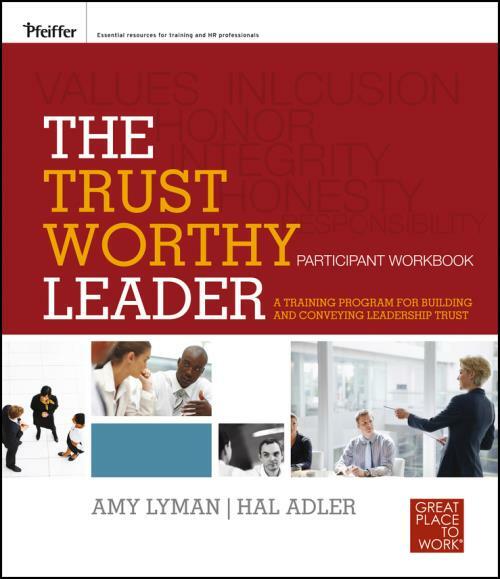 This Workbook offers a hands–on resource based on the Virtuous Circle Model® from Great Place to Work® Institute that is outlined in the best–selling book The Trustworthy Leader by Amy Lyman. Your Participant Workbook contains background material, note–taking room, and a self–assessment tool for guiding you on your journey to becoming a truly trustworthy leader.